Packaging an order is part of customer service. Do it right and you will have positive reviews and return customers. Do it wrong and your reputation as a seller on Etsy could be at stake. Follow these steps to assure that your item and your shop get rave reviews. Etsy encourages sellers to be creative with packaging. Handmade envelopes and carefully-decorated boxes can create a memorable experience before your customer even opens the package. Be careful, though – if your item doesn’t arrive in good condition, the cutest envelope in the world won’t save you from an angry buyer. 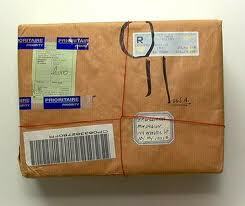 Wrap your items carefully and in the correct packaging to assure your item arrives in one piece. Saying thank you is such a simple thing to do and it really connects you to your customers. There’s nothing like a hand-written thank you note to remind the buyer that there’s a real person behind each purchase. This is especially important on Etsy, since people expect that personal connection. Be Eco-friendly with your packaging. Reuse shipping containers that you have on hand. If you need to buy shipping materials, make sure it’s bio-degradable packaging or recycled material. It is important to your customers and critical for the environment. This is your chance to impress. Along with your well crafted item, consider including a little free gift, a coupon code or a mention of something upcoming in your shop or on your blog. Most people will love a little surprise along with their order – it can elevate you from just another shop to cream of the crop. Packaging a business card in with each order ensures that your customers always have your contact information on hand. Business cards can be thrown on the fridge, given to a friend, or kept nearby for future orders. It doesn’t hurt to reinforce your brand with another viewing of your logo, either! Good post! Excuse me if this is a stupid question, but how do you know what is correct packaging for items? I am looking to sell greeting cards…So far I’ve found small padded envelopes that are heavy-duty and moisture resistant..Do you think that’s correct packaging? If not, what would you suggest? Sometimes you just have to experiment with different packaging materials to find what works for your product. I would suggest a self-seal cardboard mailer for your greeting cards like these I found at USBox.com: http://usbox.com/Mailers/Self-Seal-Cardboard-Mailers/2LV-P/. No matter what mailer you choose, make sure you write “Do not bend” on the package before mailing. Hope this helps and thanks for the comment.